We’re still needing some more ham radio operators to help with the 2-day BikeMS Valero Ride To The River on the first weekend of October, Saturday the 6th and Sunday the 7th. Hours are generally 7am until 6pm, but may vary depending upon your assignment. 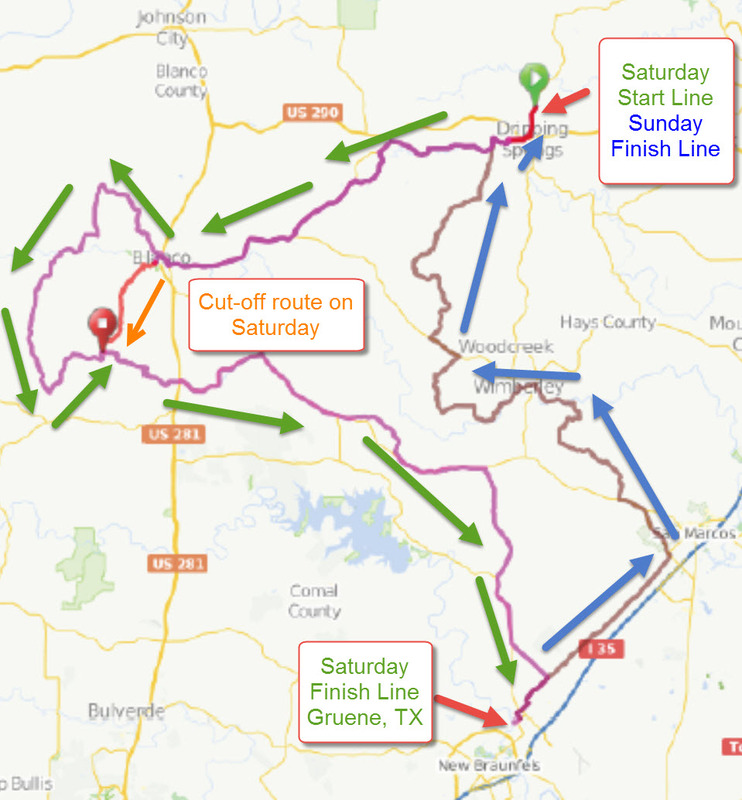 The ride on Saturday starts at Rolling Oaks Mall on the Northeast side of SA (1604 & Nacogdoches), then wanders thru the countryside via mostly back roads over to Seguin and back to a finish line at the Comal County Fairgrounds in New Braunfels. (River Road will be involved both days.) The event will finish up Saturday before 7pm, but most rest stops will close before 5pm. On Sunday, the 2 routes start at, and return to, the Fairgrounds. Both routes include River Road, coming one direction from Sattler. Sunday is shorter due to shorter routes. Background checks are required for some, but not all positions, paid for by National MS Society. Driver DMV checks are required for Van & Truck drivers (also paid for). Some online driver training is required for those driving rental vehicles. Free t-shirts will be available. All fuel expenses for event provided vehicles and motorcycles are covered without need to pay up front and wait for reimbursement. A training / briefing meeting is typically held the weekend before the event to cover the routes, assignments, pass out maps & other items (like t-shirts), etc. * Ham Coordinators are Charlie Land KC5NKK, MaryAnn Horn N5NYM, and myself. * Motorcycle Safety Marshals are coordinated by Ray McLeaird N5RAM. * Medical Rovers / First Responders are coordinated by Neil Martin WA5FSR, with an actual doctor in overall charge. Police coordination with SAPD, Guadalupe Sheriff, Comal Sheriff and New Braunfels police has been arranged. Major intersections will have a police presence. This would be a great training opportunity for ARES and CERT groups as well, perhaps with several volunteers helping out at one or more rest stops. Hill Country REACT members are involved also. Note: SAG Van & Pickup Truck assignments are expected to be 2-day assignments, with the vehicles being picked up from designated rental agency location on Friday (before 6pm) and returned either Sunday night or Monday morning. Rest stops can be assignments for 1 or both days since locations change each day. Hours vary by position relative to start and finish line. We usually have 8 stops on Saturday and 5 stops on Sunday. While we prefer ham shadows to be a 2-day assignment, we understand that some folks might not br available both days. Preference in assignments is given to those able to do both days of course. Please contact me for more info. If you email / call / text / or leave voicemail msg, please include your name, callsign and your contact info. We do have some non-ham positions available, such as being a co-pilot for a SAG ham driver. SAG operators work best as teams, driver & navigator/co-pilot. Volunteers Needed – Ham and Non-Ham invited! It is that time of year, to start marking your calendars and making preparations for the 16th Annual Bandera 100k Ultra-Marathon held at Hill Country State Natural Area in Bandera County. Tejas Trails Communication Group – Coordinated by Hill Country REACT with support of Highland Lakes Amateur Radio Club, Chaparral Amateur Radio Club, and other dedicated Amateur Radio Operators from San Antonio, Austin, Houston, Kerrville and other locations throughout the state, have supported and provided communications for this event the past 12 years. The team is responsible for communications, health and welfare, tracking, and occasionally Search and Rescue. We also manage the parking at o’dark-thirty to get the 900 runners and crews parked and to the start-finish line on time. There is little to NO cellular coverage at this venue, thus the participants, families, crews and promoters rely on the skill and expertise of the Amateur Radio Community. We have 4 Aid Stations/Break Points, Net Control and Rovers to cover for approximately 20 hours. This event typically requires 14 – 18 Amateur Radio Operators in a situation that is similar to what an Emergency Communications Operator would experience in a disaster zone. Remote operations little to no permanent infrastructure. Bring it, work it, test it, and enjoy it! Horseback Hams are also needed and greatly appreciated by the participants. If you know of a youth organization that needs public service hours, this is a great opportunity to get them in. We have numerous positions from assisting the communications team to helping serve the runners at the aid stations. UHF, VHF Voice and Packet communications are involved in this event. We have been wanting to deploy a Broadbrand-HamNet but research and development has stalled. Anyone with experience in this area is encouraged to help us out. The 2-day San Antonio to San Marcos to Austin Tour de Cure bike ride, previously scheduled for the month of May, has been cancelled. The ride in Corpus Christi, previously scheduled for April, has also been cancelled. I participated in a conference call with National American Diabetes Association officials earlier this week and this is what I have learned. All ham operators and other volunteers who had planned to work the TdC event in May will now get a free weekend off. The National American Diabetes Association has reorganized and restructured their offices across the country in an attempt to lower their financial administrative overhead. As part of that process, they laid off all of the ADA employees in the Austin and San Antonio offices, except for 1 or 2 persons. They (Regional ADA office out of Denver) were discussing holding a possible one day event, combined for both Austin and the San Antonio markets, perhaps in the San Marcos area later this fall. No date or location has been announced as of today. The online info at the American Diabetes Association website for this event had not been updated as of the date of this post. If you know of a rider who has already pre-registered for the ride, and has been fundraising for the ride, please tell them that they will need to contact the ADA office to find out the status of their registration and/or fundraising status. The San Antonio ADA office number is 210-829-1765. It is that time of year, to start marking your calendars and making preparations for the 15th Annual Bandera 100k Ultra-Marathon held at Hill Country State Natural Area in Bandera County. Tejas Trails Communication Group – Coordinated by Hill Country REACT with support of Highland Lakes Amateur Radio Club, Chaparral Amateur Radio Club, and other dedicated Amateur Radio Operators from San Antonio, Austin, Houston, Kerrville and other locations throughout the state, have supported and provided communications for this event the past 15 years. The team is responsible for communications, health and welfare, tracking, and occasionally Search and Rescue. We also manage the parking at o’dark-thirty to get the 1000 plus individuals parked and to the start-finish line on time. This event typically requires 18 – 25 Amateur Radio Operators in a situation that is similar to what an Emergency Communications Operator would experience in a disaster zone. Remote operations little to no permanent infrastructure. Bring it, work it, test it, and enjoy it! Horseback Hams are also needed and greatly appreciated by the participants. The 2016 BikeMS ride starting from San Antonio on October 1st is less than a month away from us now. We still need hams on Saturday to fill a few rest stop positions. Help! Hams are used for driving rental SAG Vans and trucks on both days, picking up riders from the side of the road and taking them to the rest stops. SAGs also take riders from rest stops up the line, sometimes to the finish line, if the rider had unrepairable breakdown of their bicycle, or they were just too tired to finish on their own. Although we don’t emphasize it much, we have had some serious accidents or injuries in the past where the ham equipped SAGs and Motorcycle Safety Marshals have saved the day. It’s a serious business, but we try to have fun while doing it. SAG assignments are for a 2 day commitment due to the nature of the rental vehicles. Hams are needed for Shadow Positions, riding with medical units, police cars, event officials (think Tour Directors, etc.) and for Rest Stop communications. While we prefer 2 day commitments for these positions, we understand that some folks are only available for 1 day at a time. At present time, Charlie says we mostly need rest stop hams for Saturday, but I think some shadow positions are still available. Enough SAG drivers have been lined up, but backups are always appreciated in the event someone has to drop out suddenly. The lead volunteer contact is Charlie Land KC5NKK who can be contacted via email at kc5nkk@hillcountryreact.org. Everybody is likely familiar with the American Diabetes Tour de Cure bicycle rides. San Antonio held theirs last May and Austin will holding their 2-day event in September. There are also rides held in Corpus Christi (April) and a new one being held in Laredo later this year that could use some ham help in the future. If you have an Emergency Go-Kit, this is the perfect opportunity to dust it off and test it. If you have a mast and portable beam antenna available, this would be a great time to use it. Mobile radios will be required on high power. A few locations might, maybe, be close enough to the repeaters to hit, or at least monitor using your HT, but don’t count on it. The 2-day Austin Central Texas Tour de Cure ride this year, will start in Dripping Springs, loop out west around Blanco, TX, and then head south on Saturday over to Gruene, TX, just north of New Braunfels. On Sunday, that 2-day ride will leave Gruene and wander north thru Wimberley, on it’s way back to Dripping Springs of course. This ride is a bit different from those we have supported with ham radio communications in the past. Their SAG vehicles are provided by the Austin based ABC Commercial Services company (formerly ABC Pest Control with that Ant Eater logo). Rest stop supplies are coordinated by Austin Energy vehicles, with a few Penske trucks thrown in for good measure. So that leaves mostly Rest Stops that need ham radio communications, plus a few trouble shooter hams that will be roaming the route in support of the MSET-TX motorcycle EMS group. We’ve got some hams from the Hays / Caldwell ARC on board, thanks to Mike Wilmore KF5ACH. Jeff Schmidt N5MNW is the overall ham coordinator, operating from the Austin / Dripping Springs main hub. Lee Besing N5NTG is coordinating from the south end of the route. Primary net control will be in Dripping Springs, with a backup net control in Gruene at the Saturday finish line. Frequencies are being tested and will likely be using IRLP linked repeaters on 2 meters, but that may change depending upon the testing. If you can help out either or both days, please contact Jeff Schmidt at n5mnw@arrl.net and Lee Besing at info@SanAntonioHams.org. If you are a member of Hayes Caldwell ham club, please contact Mike Wilmore at mikewilmore@me.com. Spring Has Arrived, Charge Up Your Radio Batteries! Our regular volunteers already know to get their radios and batteries ready for operations when the month of April hits. Actually many of the Ham Volunteers with Hill Country REACT never stopped being ready for events. 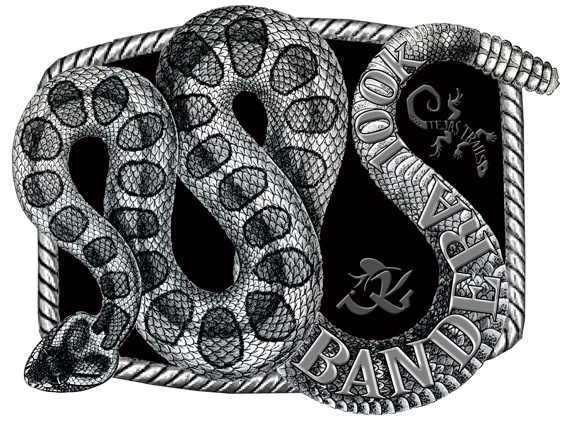 They worked events in January and March already, out in the Bandera, Texas, area at the Hill Country State Natural Park. One event was the Bandera 100k Cross Country running event (24 hours) in January, followed by the Big Bend 50k out west. On March 5-6th was a horse ride endurance event (2 day) back in the Hill Country State Natural Area (state park). There may have been other events in between that I missed. Look for event posts by the REACT Team president, Louis Upton N5STX, elsewhere in this blog. Anyway, back to the topic at hand. We have lots of volunteer events happening between now and Field Day weekend. This is just a short list of known events being held involving San Antonio and the surrounding area hams. If someone wants to build up a list of contest, I’ll be happy to work with you on posting those dates as well. April 15-17th – BPMS150 National MS Bicycle Ride (2 days). At present time, 5 teams of SAG vans will depart on Friday, April 15th from San Antonio, to arrive that night in Katy, TX, outside of Houston, to start off the biggest bicycle tour in Texas the next morning. The San Antonio contingent will be joined by other SAG Teams from Austin and these two groups will be swallowed up by all of the others coming from the Houston area. At last count, I think there were around 45 SAG Vans, 12 SAG Box Truck / Bus combos (Rental Moving Van with a School bus tagging along). More info will be posted after the event. Volunteer list is closed for this event due to the logistics, but rooms are provided for both overnights, plus the fuel doesn’t require out of pocket expense either. Hams use both 2 meter and 440 frequencies, plus APRS, to communicate. Non-hams use provided MURS radios. Mobile radios with dual band preferred for usage. April 21st – Battle of the Bands Festival – Hams are used to coordinate the bands and VIP arrivals. See posting here. April 24th – Fiesta Wildflower 100 Bicycle Tour – Hams are used to coordinate the rest stops along the route. Motorcycle Safety Marshals, some are hams, will be used to spot problems or rider issues along the route. See posting here. May 7th – Area 20 Special Olympics Spring Games – This really isn’t a big ham radio event, since we mostly coordinate the commercial hand held radios at the event, but occasionally we’ve had W2IK out here with a special events station as well. This is a one day event, running from around 7am thru 4pm, held at a local San Antonio area sports stadium. Contact Lee Besing N5NTG at info@Sanantoniohams.org or via phone 210-771-7075 (voice/text). May 7th – Bulverde’s 17th annual Run For The Hills race – Hams from Hill Country REACT with the help of other area hams, provide coordination for this 10k event which is held north of San Antonio, off Hwy 281 and FM1863, in Bulverde Texas. In addition to spotter positions along the route, volunteers also help coordinate the parking lot area to avoid confusion in the wee hours before sunrise. This event is a Saturday morning event, over by noon. Contact Charlie Land KC5NKK at 512-796-7565 (voice/text) or kc5nkk@hillcountryreact.org. May 14th – San Antonio American Diabetes Association Tour de Cure ride. – Ham are used to coordinate the rest stops along the route. Motorcycle Safety Marshals, some are hams, will be used to spot problems or rider issues along the route. See posting here. May 29th – American Hero 25k Relay Run – Hams are used to monitor the turn around points on the looped race course that never leaves the property for the University. Hours are 7am-1pm with free t-shirts provided for the volunteers. Contact Lee Besing N5NTG at info@Sanantoniohams.org or via phone 210-771-7075 (voice/text). June 11-13th – Texas Water Safari. Hams are used to provide communications from the start line on Saturday until the finish line on Wednesday, but most positions near the front are done much quicker. Last year over 100 canoe teams competed for this 100 hour, 262 mile river race (yes, it’s a timed race) from San Marcos, down thru Victoria and on to Sea Drift, on the Texas Gulf Coast. This event is run 24 hours a day until the last canoe team has been accounted for, but each check point along the river has different operation hours. Both voice and digital communication modes are used to pass the in/out team information to the next check point down the river. Ham operators play a critical port in the safety of this event. Volunteers are coordinated on the front end check points of the race course by Erik Olson WB5ZJQ, while other check points are coordinated by Harvey Babb WB5MCT. Contact Erik at 210-213-4098 (voice/text during non-business hours please) or WB5ZJQ@SARepeater.net Contact Harvey at 361-676-0356 or Harvey.babb@gmail.com. The location venue has moved back to the original Alamo Stadium (located at Trinity University, Hwy 281 and Hildebrand) now that the stadium has been remodeled. Students from more than 30 high school bands from San Antonio and surrounding areas will join forces to present an entertaining musical evening that is undoubtedly one of Fiesta’s most popular events. Some of the highlights will include Herald Trumpets saluting Fiesta royalty, parades of high stepping bands with colorful flags and twirlers, and specially chosen feature bands performing their award-winning UIL shows for the crowd. At the end of the evening, all 4,800 musicians will perform together on the field in a spectacular crowd-pleasing finale set to fireworks! The SARO Ham Club has coordinated communications for this event for longer than most hams can remember. While members of the club are given preference for assignments, non-member hams are invited to volunteer as well. This is an evening / night time event during the week on a Thursday night. Volunteers need to be in place as early as 4:30pm and the event will last about 5 hours. Hand Held radios with earphones / plugs will be needed for most assignments due to the noise. Some assignments may require lots of walking or standing. The hams coordinate the starting line of the bands entering the competition area, calling in the school names to the announcer ham shadow, plus coordinating the arrival of any Fiesta Royalty VIPs with the announcers as well. Please contact SARO President MaryAnn Horn N5MYN via email N5MYN@SARepeater.Net or via phone (during non-work hours only please) at 210-380-6560 (voice/text). This year’s San Antonio American Diabetes Association Tour de Cure bicycle event on May 14, 2016, will once again start / end at the Texas A&M University, located on the south side of San Antonio, near Loop 410 and University Way / Zarzamora Rd (outside the loop). The start/finish line will be on the interior road just north of the primary building cluster as usual. There will be multiple distance routes, with the shorter length routes splitting off to return to the finish line sooner. The 100+ plus mile route is the most challenging, heading out toward Elmendorf before dropping south to Pleasanton and then curving up thru Poteet and near Somerset before returning to the finish line. Last year we had nearly 1,200 riders. Ham Radio operators are needed to staff 9-10 rest stops, plus provide net control back at the University. We may use a personal vehicle or two as turtle vehicles (using APRS if possible), plus 10 primary SAG vans/trucks which need to be ham radio operator equipped or driven for this event. This event is on a Saturday, May 14th, and will run from around 7am to 4pm for the longer routes. Obviously the rest stops closer to the front, or on the shorter routes only, will get released much sooner. This is a one day event, covering parts of Bexar, Wilson and Atascosa counties. Assignments will be on a first asked, first assigned basis. I am making the opportunity available to help run the net control station and to get some net control experience, for those who are tired of doing the same ole stuff each year. Also on a first asked, first assigned basis. For more information, or to volunteer, please contact Lee Besing N5NTG via email at info@sanantoniohams.org or by voice/text to 210-771-7075. Note that my current working shift is at night, so do not expect me to answer the phone before noon most days. This year’s event will start / end at the Rolling Oaks Mall properties, located on the NE side of San Antonio, near Loop 1604 and Nacogdoches Road (outside the loop). The start/finish line will be on the far north side of the property, furthest from Loop 1604. There will be multiple routes with some overlapping areas to help keep it confusing. 🙂 Last year we had nearly 1,800 riders. The routes go up toward Canyon Lake and over toward the Seguin area, so we cover 3 counties during this event. Ham Radio operators are needed to staff 8-9 rest stops, plus net control back at the Mall. We may use a personal vehicle or two as turtle vehicles (using APRS if possible), but the primary SAG trucks will not be ham radio operator equipped or driven for this event. Last year, the organizers provided a $20 Valero fuel gift card to the ham working each stop (1 for each stop), to reimburse the volunteer for fuel used during the event. This fuel card was not payment for services rendered. In addition, free t-shirt and possibly even a free Fiesta Medal could be available. This event is on a Sunday, April 24th, and will run from around 7am to 4 or 5pm for the longer routes. Obviously the rest stops closer to the front, or on the shorter routes only, will get released much sooner. Assignments will be on a first asked, first assigned basis. I am making the opportunity available to be net control, to get some net control experience, for those who are tired of doing the same ole stuff each year. Also on a first asked, first assigned basis.